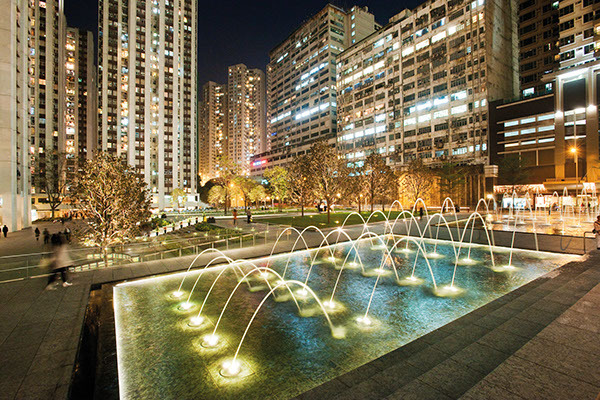 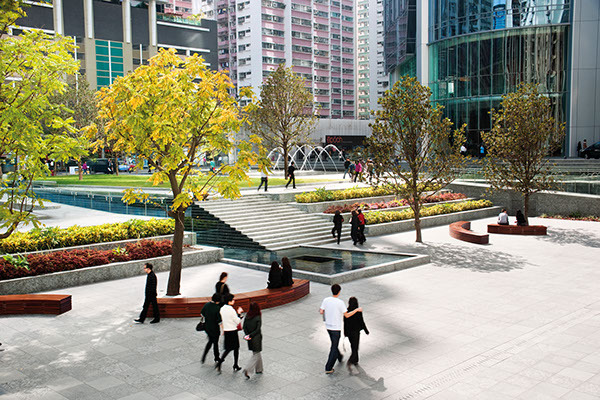 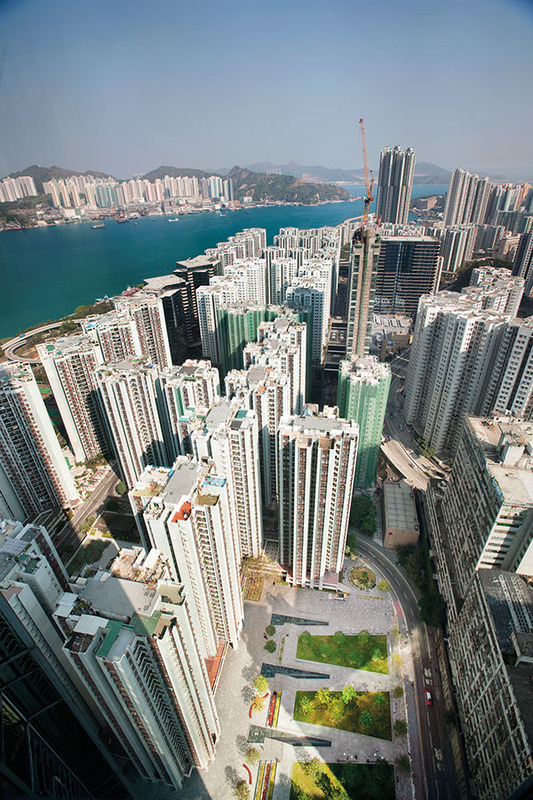 This urban design features three civic spaces converging at the base of a new seventy story office tower by Wong & Ouyang (HK) Ltd. Architects. 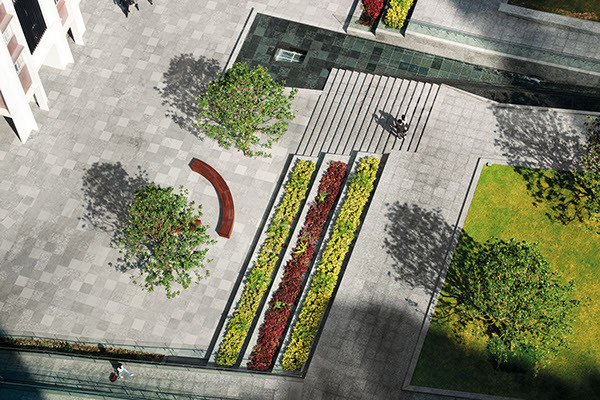 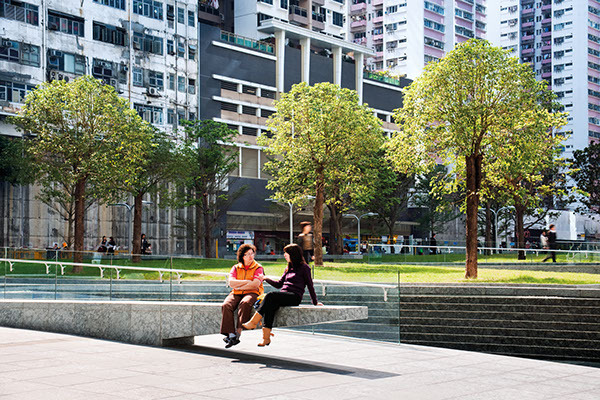 The two hectare plaza exemplifies the design objective of "elegant simplicity" held by the developer, Swire Properties Limited and creates an amenity for the thirty thousand office users and adjacent residents. 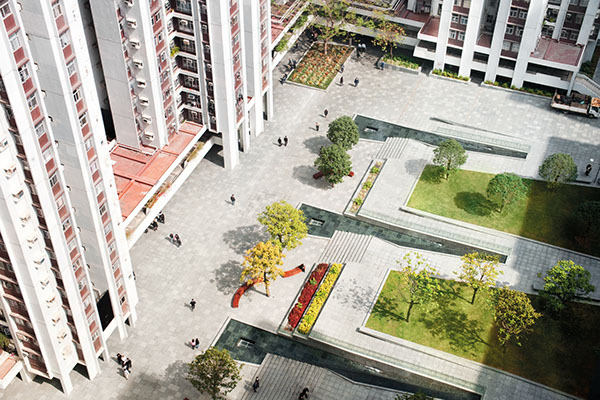 Each of three lawn panels subtly steps up to the tower podium by means of a unique geometry of water stairs and planted terraces, ascending from a lower level garden featuring placid water basins and tropical plants. 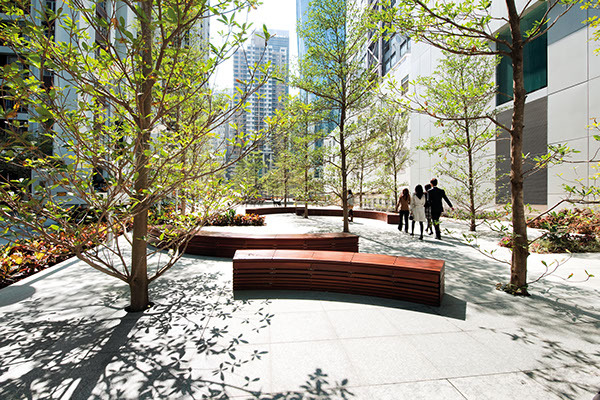 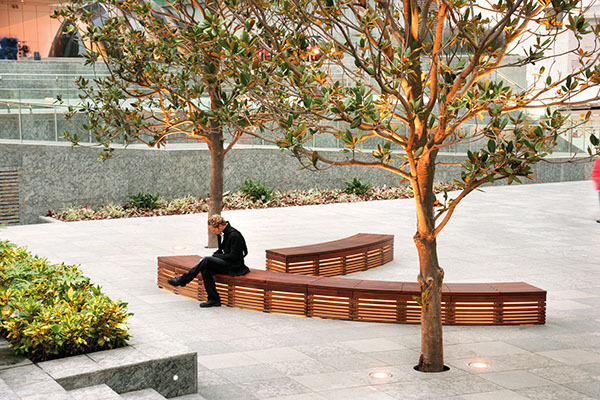 The lawn panels are each planted with a signature native tree, imparting a particular character to each one. 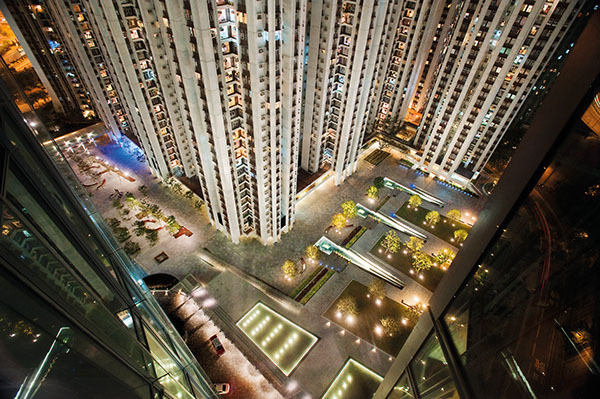 From Victoria Bay the site steps up through a 230 meter long promenade to the plaza and culminates at the tower’s podium base. 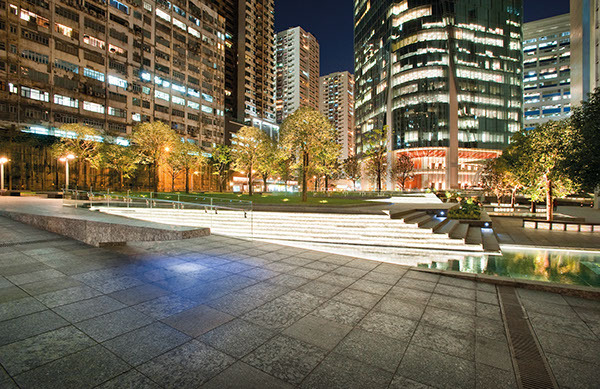 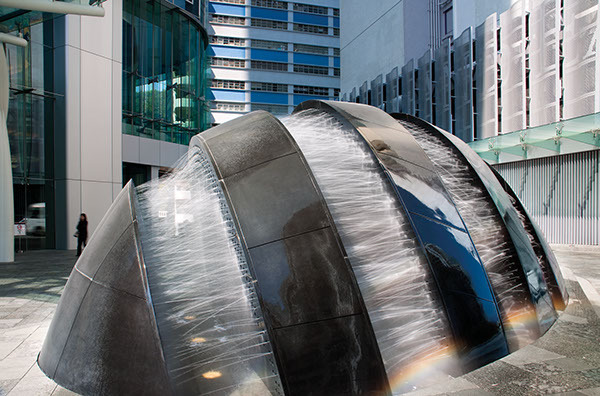 The podium design incorporates a combination of kinetic light columns, music and an array of water jets placed within a dry basin. 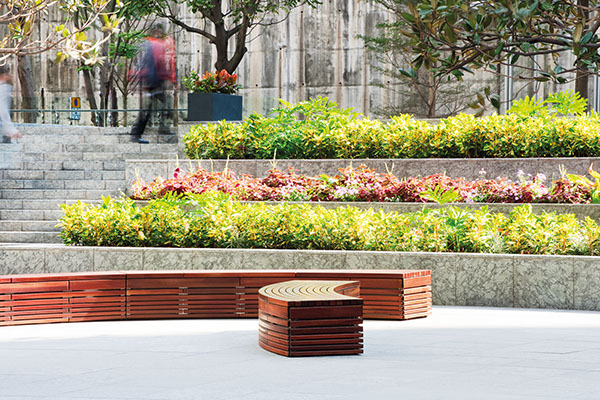 These elements provide the opportunity for varying choreographies and create a distinctive feature for One Island East.